Would we make the last ferry of the day? Walk faster, everyone! In our hurry I nearly guided us onto Hook Spit, a northward pointing spit of land which is curved like a hook and from which the local village of Hook got its name. Had we taken that wrong turn we would have added another half mile to our journey and missed the ferry for sure, but at the last moment I realised my mistake. We headed along the inland sea wall instead. As we reached Warsash we passed a D-Day memorial commemorating nearly 2,600 Commandos who left from here for France. When they landed on the beaches the role of many of them was to fight rapidly inland. Their aim was to relieve Airborne troops who had landed behind enemy lines in gliders the previous night and taken the bridge at Benouville, now known as Pegasus Bridge. The Commandos made it, and together with the Airborne troops fought for over 80 days without further relief, holding their positions against enemy attack. Casualties were nearly 40%. In the officer ranks casualties were over 50%. The last ferry was at 4 o’clock. We arrived at the ferry shelter a few minutes after the hour. 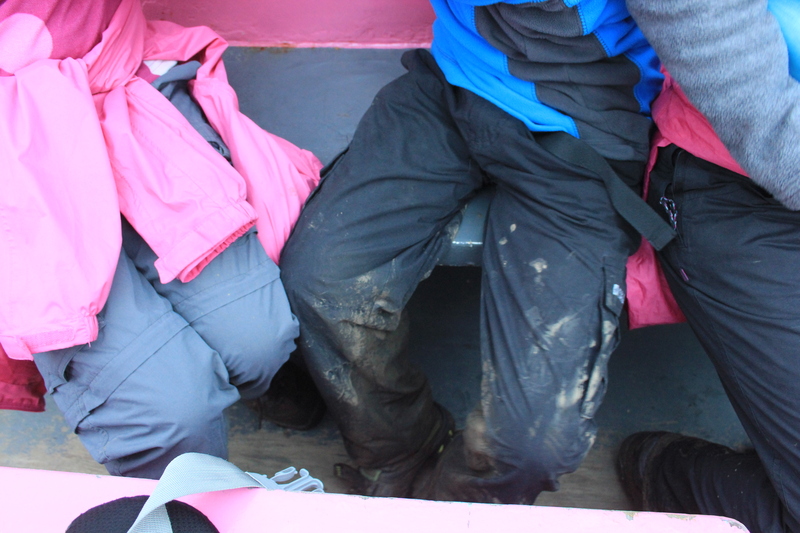 There was a telephone number for the ferry and some other walkers called it. Yes! The ferry was happy to make one last trip before wrapping operations up. Look! Here it comes! 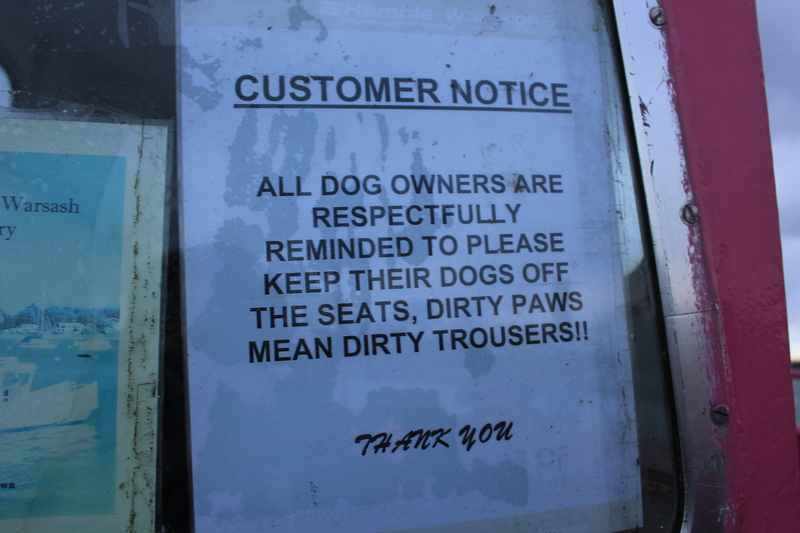 Clearly the ferry crew had not anticipated my son, otherwise they would have changed the notice asking children to keep off the seats for fear of dirtying any dogs who happened to be travelling. 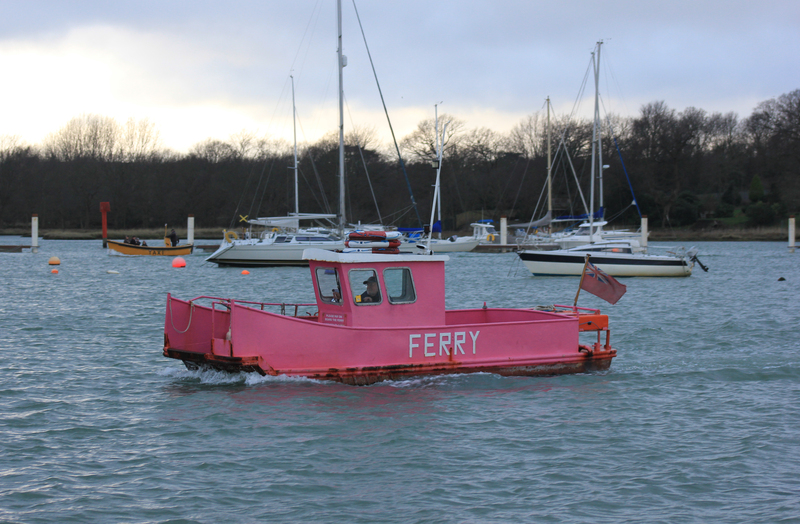 It was a quick trip over the River Hamble, and at the other side we stopped for the day. We had walked 15.29 miles (not including the ferry) – a new record! Well done kids! 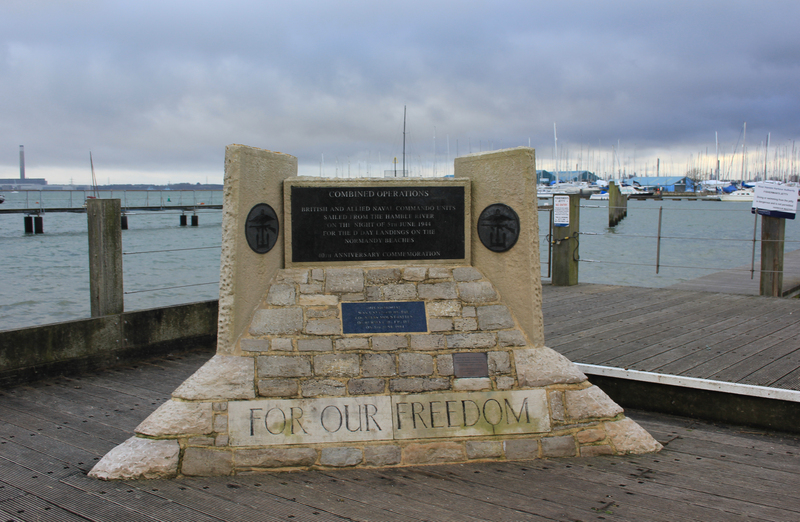 This entry was posted in Hampshire and tagged coast, Commandos, D-Day, ferry, Hamble-Le-Wick, Hampshire, memorial, Pegasus Bridge, spit, travel, walking, Warsash. Bookmark the permalink. Yes you could certainly see it coming! The waiting shelter is painted the same colour as the ferry too, so you can’t miss that either. 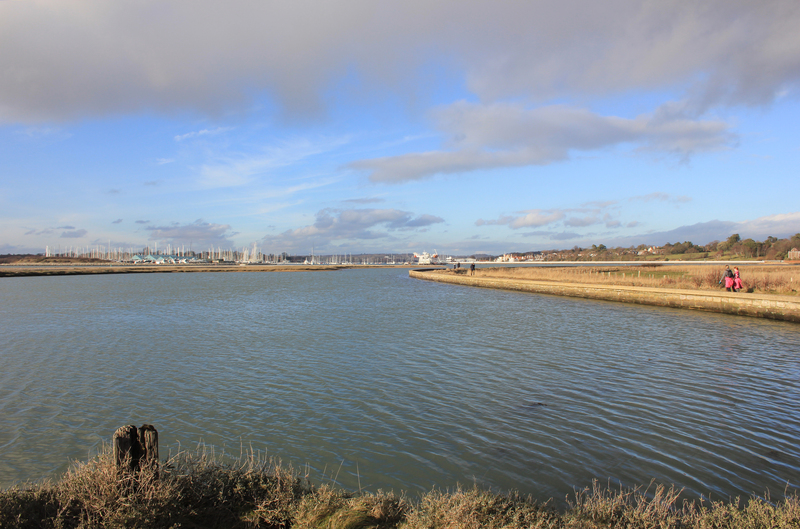 The footpath along the eastern side of the river Hamble (to Lower Swanwick) is very beautiful too if you can spare the time next time. It’s a causeway for much of it’s length.